(6) to deteriorate  English verbs have a form called “perfect form” (完成式), which is made up of the auxiliary verb have plus the past participle of the verb. These perfect forms are quite often used in English, but Chinese verbs do not have this form. As a result, Chinese students often make the mistake of not using the perfect form in an English sentence where the perfect form should have been used. 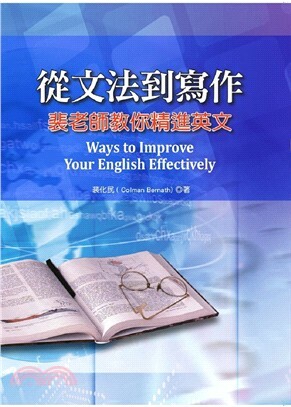 They often used the past (過去簡單式) or the present tense forms (現在式), instead of the perfect form. Last night the weather suddenly changed. But when one speaks about a period of time (某一段時間), like "in the last few weeks," one must use the perfect form (完成式). In the last few weeks the weather has changed a lot. Recently I've been very busy. Drug use has always been a big problem in this country. I've been interested in psychology for a long time. I've played the piano for years.  Some verbs in English which themselves express change, like to change, to become, to turn (to be) + adjective, to get + adjective, to improve, to deteriorate, etc. are very rarely used in the present tense form. Most of the time they are in the perfect or the past tense form. Taipei has become a very prosperous, international city. Our society has changed very fast. Law and order has deteriorated in Taiwan.